In the classic half-zip design that you can’t get enough of, this jumper is woven from a cosy yet hardwearing lambswool blend. 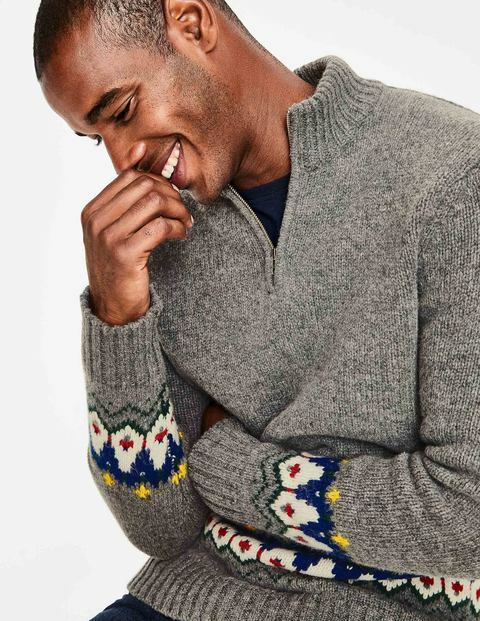 We’ve put traditional Fair Isle patterning across the hem, while the ribbed neck and cuffs will keep out any cold drafts. Wear it with rugged, textured fabrics such as corduroy trousers to perfectly offset the rustic tones.